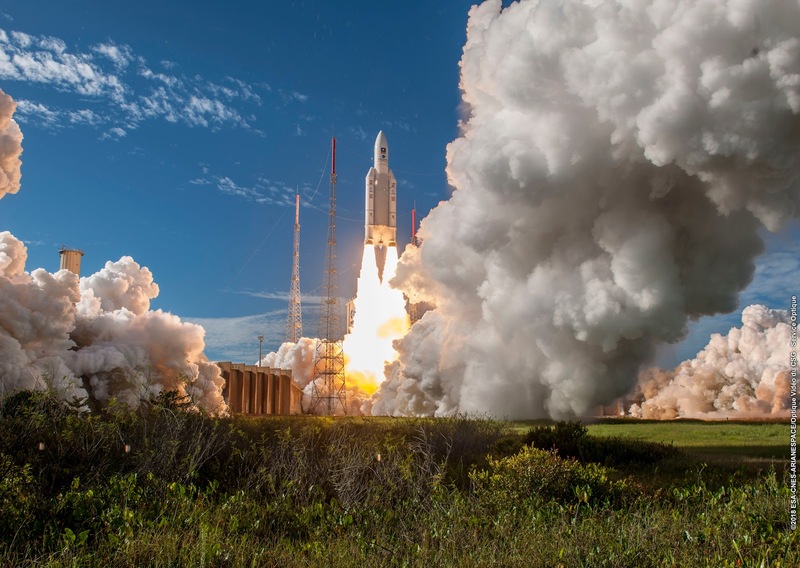 Europe’s next four Galileo navigation satellites lifted off on July 25, 2018 from Europe’s Spaceport in French Guiana atop an Ariane 5 launcher. Galileo is the global navigation satellite system (GNSS) that is being created by the European Union (EU) through the European Space Agency (ESA), headquartered in Prague in the Czech Republic, with two ground operations centers, Oberpfaffenhofen near Munich in Germany and Fucino in Italy. The €10 billion project is named after the Italian astronomer Galileo Galilei. One of the aims of Galileo is to provide an independent high-precision positioning system so European nations do not have to rely on the Russian GLONASS, Chinese BeiDou or U.S. GPS systems, which could be disabled or degraded by their operators at any time.The use of basic (lower-precision) Galileo services will be free and open to everyone. The higher-precision capabilities will be available for paying commercial users. Galileo is intended to provide horizontal and vertical position measurements within 1-meter precision, and better positioning services at higher latitudes than other positioning systems. Galileo is to provide a new global search and rescue (SAR) function as part of the MEOSAR system. Satellites will be equipped with a transponder which will relay distress signals from emergency beacons to the Rescue coordination center, which will then initiate a rescue operation. French Guiana, officially called Guiana, is an overseas department and region of France, on the north Atlantic coast of South America in the Guyanas. It borders Brazil to the east and south and Suriname to the west. Since 1981, when Belize became independent, French Guiana has been the only territory of the mainland Americas that is still part of a European country.